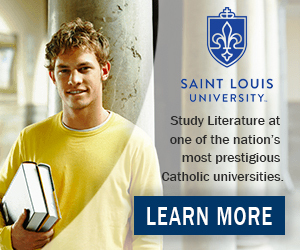 Literature is a well-regarded subject that you can study in any state in the US. Most colleges offer a degree in English Literature. English programs are core in American universities because every student must attain compositional writing skills regardless of their major. For those who specifically choose to study literature in the US, the breadth of an English program will encompass the history of the English language, Composition, Modern English Grammar, British Literature, American Colonial Literature, Multicultural Literature, Literary Criticism, and Literary Theory. Some are even beginning to add English as Second Language as a class when earning a literary degree. When planning to study literature in the US, expect courses rich in reading and writing. A Literature program requires far more home reading than many other academic courses. The courses consist of lectures and seminars. Assigned readings will be provided at the beginning of the course in each subject syllabus. Every student is expected to critically read the assigned texts, be present in class for discussion, and contribute meaningfully to the course. Professors ask students to apply textual analysis, evaluate the language of the text (such as metaphors, colloquialisms, and historical relevance), and identify dominant themes and concepts. Literature courses are also thematic. Materials discussed throughout the semester have a clear relationship. When reading, students should examine the works for common themes. In literature studies, paper writing is the primary means of assessment. This is unique to standard testing. Most courses will require a minimum of two major papers, constituting up to 50% of the course grade. The first paper is often due at midterm and the other at the end of the semester. These papers should build upon ideas presented throughout the course. In addition to reading, taking notes in class is beneficial as professors often give relevant, course-specific information. This information can be used later to generate research ideas or as supporting evidence in papers. There are typically two degree courses available in Literature - English Literature and English Education. Both tracks require intensive study of British Literature, American Literature, Multicultural Literature, Literary Criticism, Composition, Creative Writing, Linguistics, Rhetoric, Modern English Grammar, and the History of the English Language. In addition, students will have the opportunity to choose electives of personal interest. The primary difference between majoring in English Literature and English Education is the requirement of pedagogical courses. English Education majors will learn how to teach through courses in education, materials, and methods courses. In their final year, students are generally expected to take a practical course where they will work in the field as a student-teacher, alongside an experienced teacher in an approved school district. Contrary to popular belief, choosing a school based on rankings is not always the best way to assure the best education, or the best school for you. Instead, review a university's faculty profiles for professors' areas of expertise. For example, if an international student is interested in multicultural literature, he or she should be looking for a university where two or more professors specialize in multicultural genres. To support the decision-making process, you should research published works by faculty professors online. You can also often contact the professors via email. The best program is a program that can help you develop your area of interest. This becomes especially relevant if you later decide to pursue graduate studies. Visit the Study in the USA School search to find schools that offer programs of study in Literature. Is a Degree in Literature Right for You? Over time we will be updating this section and including more information for those who want to study literature in the USA and for other countries, but please feel free to post your thoughts and comments on our Facebook fan page, and also follow us and post questions through Twitter.